Life with Dylan: Inspire. Support. Love. 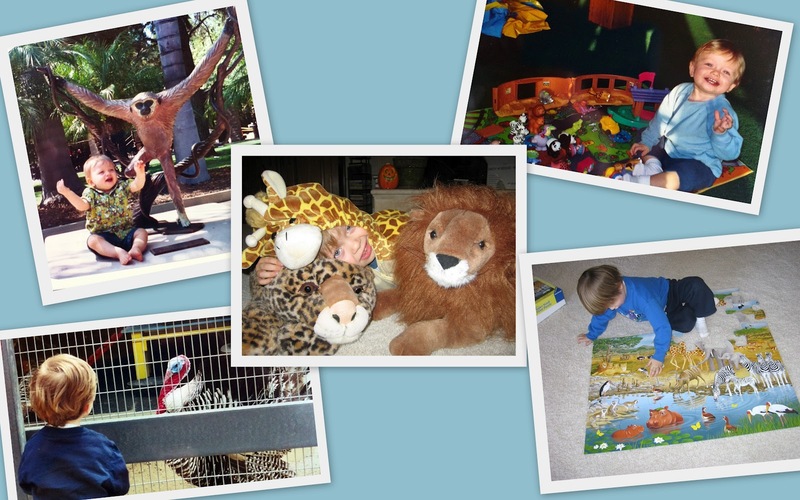 Was it when he was 10 months old and visited the Santa Ana Zoo? Was it playing with Little People Noah's Ark animals? When he was 2 years old and came eye to eye with a turkey? The Halloween when he begged to be a giraffe? Or maybe it was when he was 2 1/2 and got an African animals puzzle from Grandma? I'm really not sure. 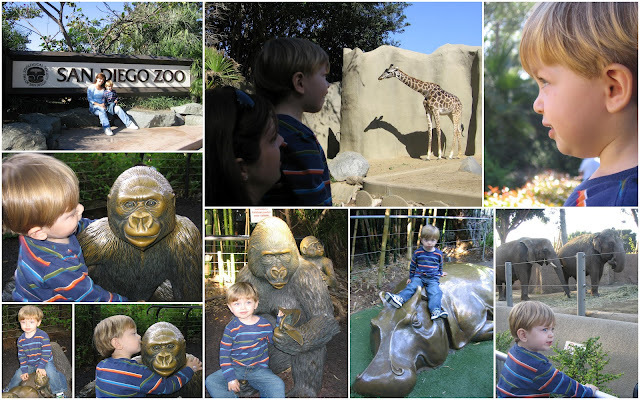 He was a little over 2 years old when he had his first visit to the San Diego Zoo. Little did I know the impression this made on him and how it would change his life. Just look at the excitement on his face! 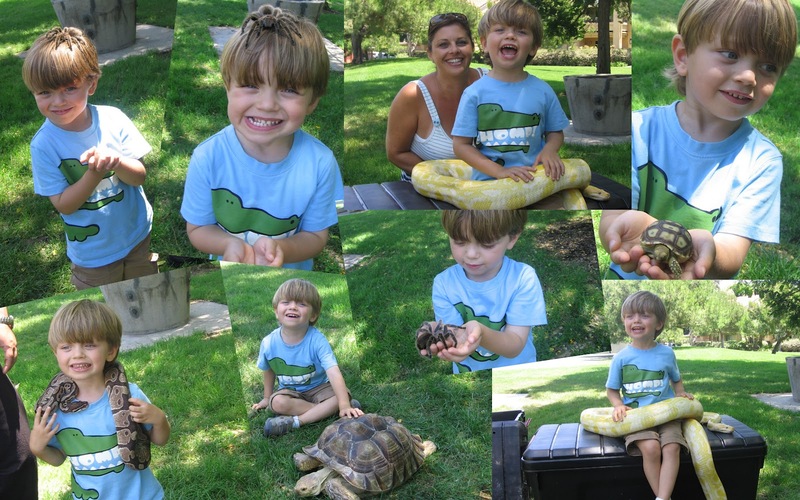 Now, I was cringing when the tarantula was placed on his head and when the snake was around his neck, but he was in heaven. He was in his element. We have been members of the San Diego Zoological Society since 2005 and nothing makes my son happier than visiting what he calls his other home. We don't use a map because he has memorized where everything is. The look on his face when he comes eye to eye with an animal is something that I will never get tired of seeing. This may sound strange, but he actually talks to the animals and they are drawn to him. While some people may stop at an exhibit long enough to take a few pictures, he sits on the ground and takes in every move the animals makes, every behavior, and from what I have observed becomes one with the animal. Zookeeper Rick helped me realize that I must do everything I can to give my son what he needs. 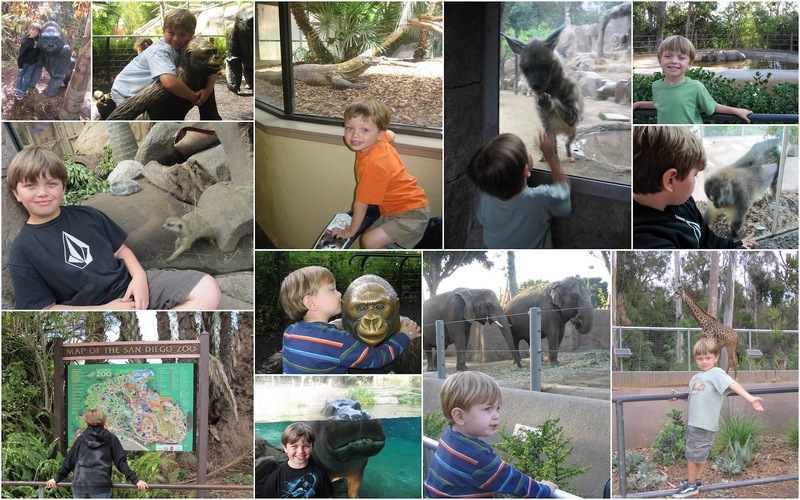 Ever since he was 3 years old, he has said that he wants to be a zookeeper at the San Diego Zoo when he grows up. 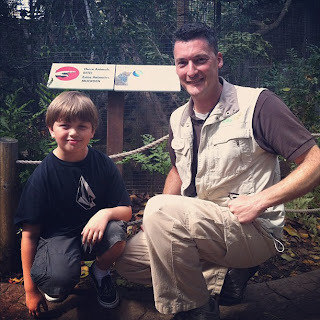 I have no doubt in my mind that he will be a zookeeper, working along side of Rick one day. What is your child passionate about? Do you inspire and support them in what they love? If your child does what he loves for his living, every day will be a joy. How very perceptive you are as a parent that you have seen his joy and choose to 'go with it' rather than see it as a distraction from 'more serious' pursuits. Kudos to you and you are raising a wonderful child; we need more Zookeeper Ricks in our lives and I hope your son grows up to be one.